So with Valentines Day being just around the corner I bet your other half is asking you one thing ... 'We don't do cards, do we?' - Emmm, yes - yes we do! It always makes me laugh a little when the subject is broached because there's always that instant panic of what to buy, how to be thoughtful and original. I've been working with Amazon Handmade over the past year and I'm thrilled to be writing this post in collaboration with them. 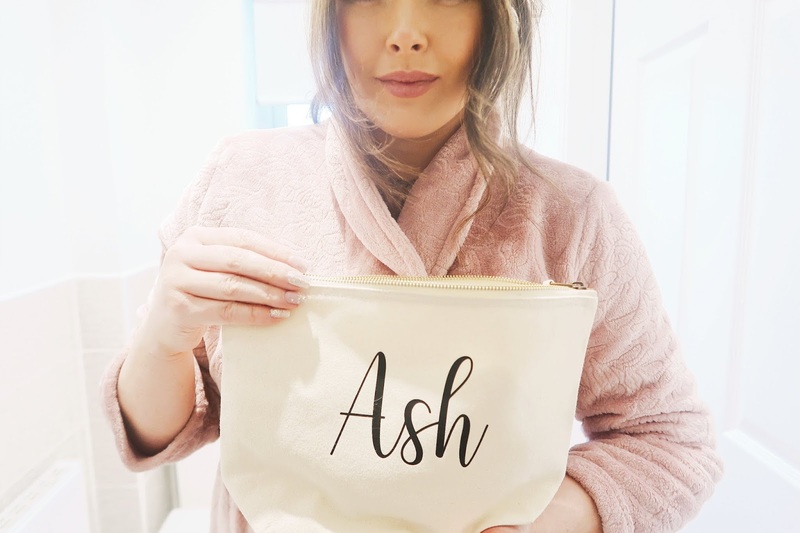 I've been sent some beautiful handmade and personalised items to give you an idea of the things you can get on there this Valentines to make it really special. Amazon Handmade is equally special because it provides artisans with a place to be seen, so it's always lovely knowing that the item you purchased has been crafted with care and is helping to support a creative in doing a job they love. I for one love all things personalised, usually so I can put my stamp on the things that are rightfully mine - like that posh moisturiser I bought on a Spa Day and use sparingly that my lovely husband decides to snaffle at every opportunity. This little wash bag with scripted name emblazoned on it is sure going to provide me with a safe hiding spot and looks pretty too! I love the size of this it's perfect for trips away, overnight stays and fits lots inside. I know I'll get good use of this and I love the canvas material it's made from it's very on-trend. Still in wedding mode I also thought these would make for cute bridesmaids bags too! I remember one year we went on holiday and I watched a woman blow glass and create a beautiful vase. If you've ever seen this before you'll know how mesmerising it is. I was completely fascinated at the process and how they can introduce different colours it's pretty cool. 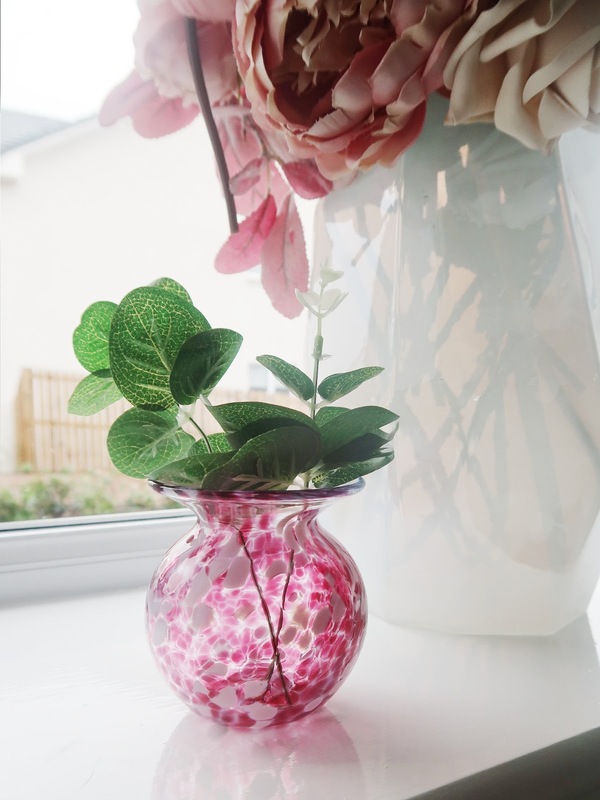 This little vase was made like this too. I really love how dinky it is, I was looking for something to bring a little bit of colour to the room in this corner to marry in the pinks. I might even end up placing it in my office! What do you do for Valentines Day? 1 comment on "AD | VALENTINES DAY GIFT IDEAS"